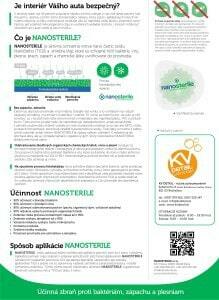 You are here: Home / Uncategorized / We are now certified NANOSTERILE application partner. 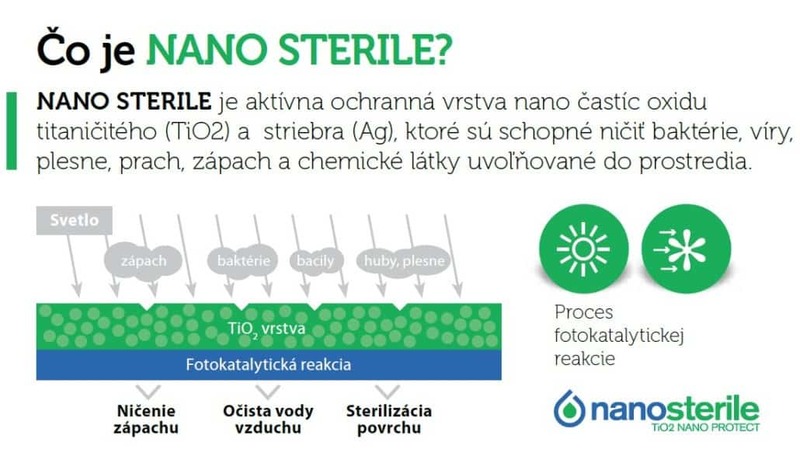 When should you use Nanosterile®? 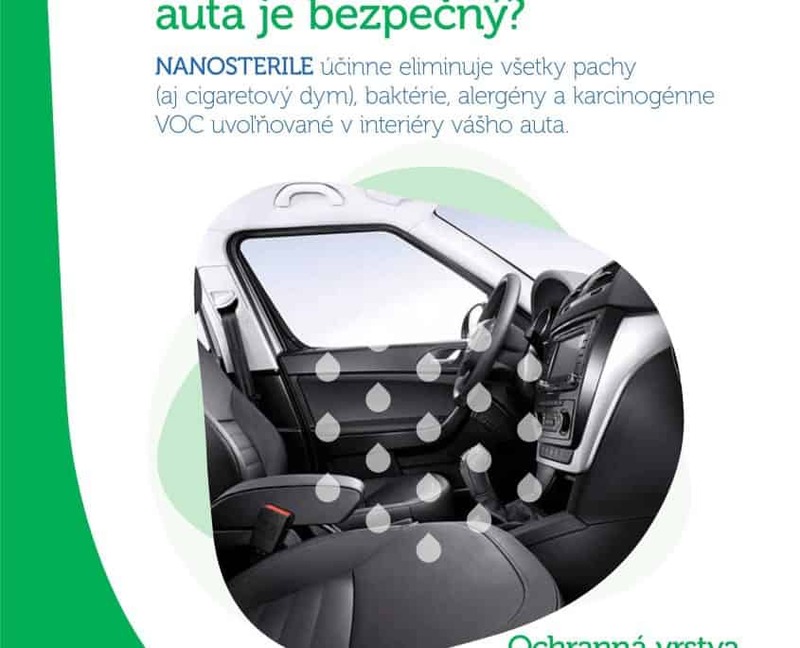 driving with kids – especially when they are allergic or asthmatic! 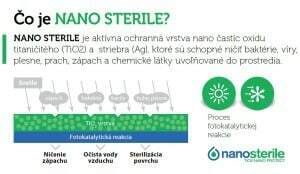 Nanosterile is an invisible layer which effectiveness has been tested laboratory. Guaranteed effectiveness is 2 years and does not require any special treatment. 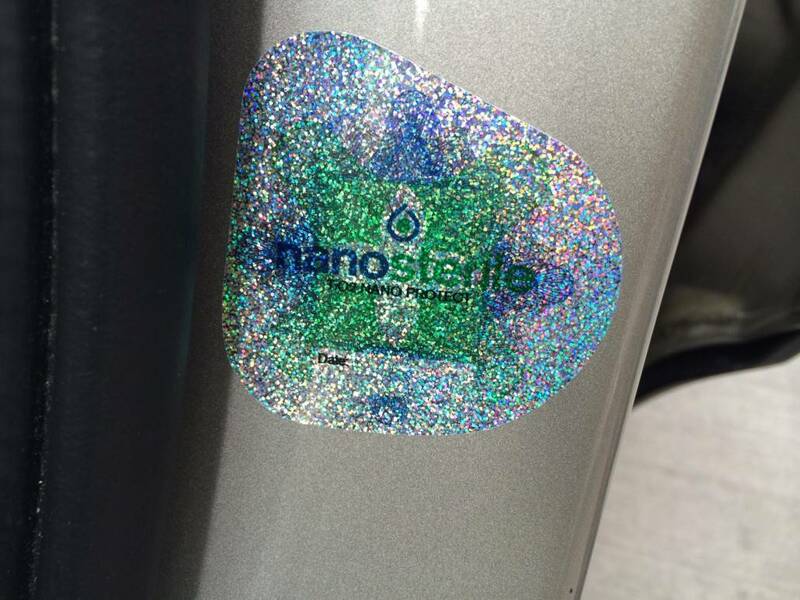 It is activated whenever the car is hit by sun rays – it does not matter if it is sunny, partly cloudy or cloudy. 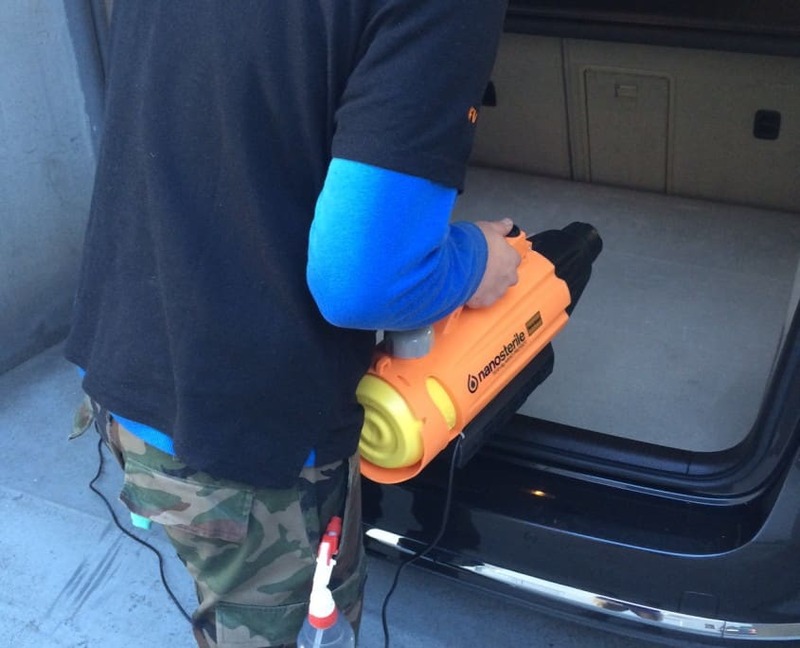 Application on cleaned interior takes 30 – 45 min and depends on vehicle size. 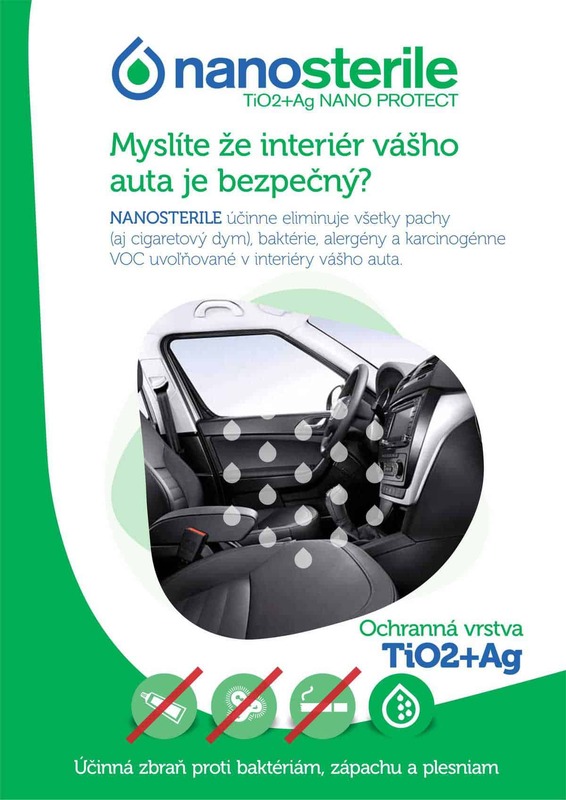 Nanosterile is applicable on any surface inside a car, including textile, leather, cushioned or floor carpets, mats, rubber parts and even windows from inside. Technology was designed in Japan and includes several patents. Biocide effect of TiO2 strongly helps to protect health of a person in that particular environment. 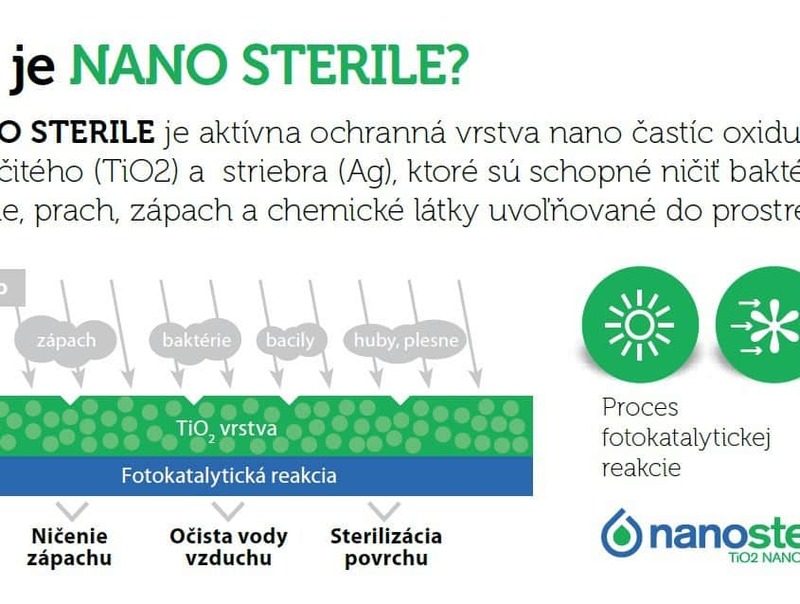 TiO2 can be found normally in nature but it´s effect is stronger when the particles are smaller (NANOSTERILE works with 2-3 nm sized particles, the smallest particles designed to date!) 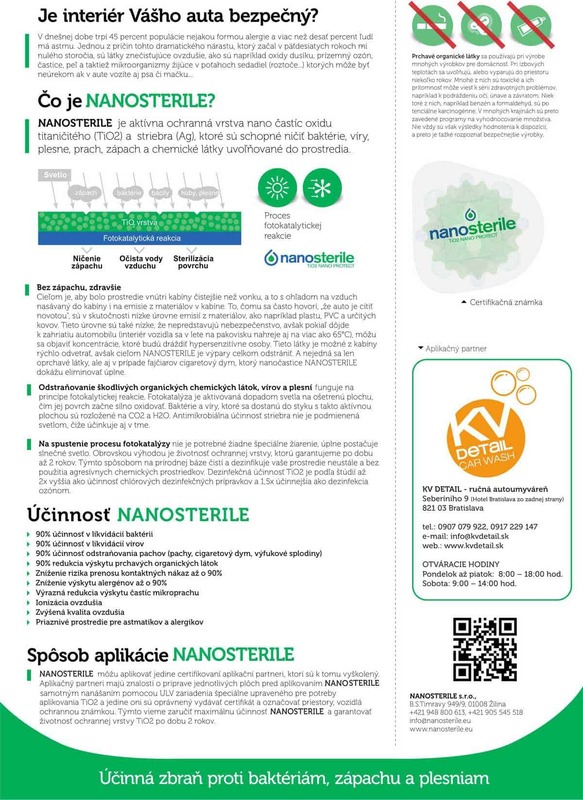 Nanoparticles of silver effect cell exchange of bacteria and limit it´s breathing. 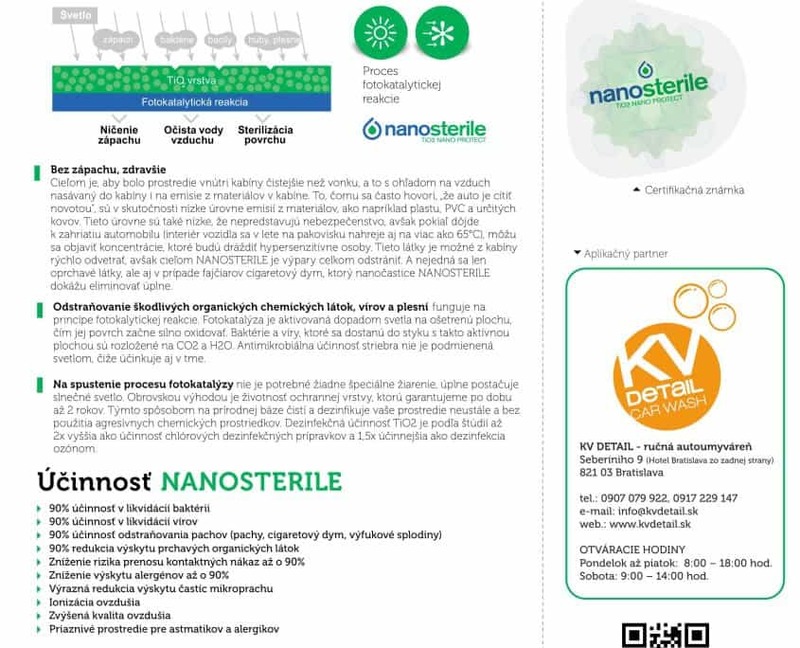 Important – it is NOT toxic to human cells.Toxic organic chemicals, fungus and viruses removal works on photocatalytic reaction basis. 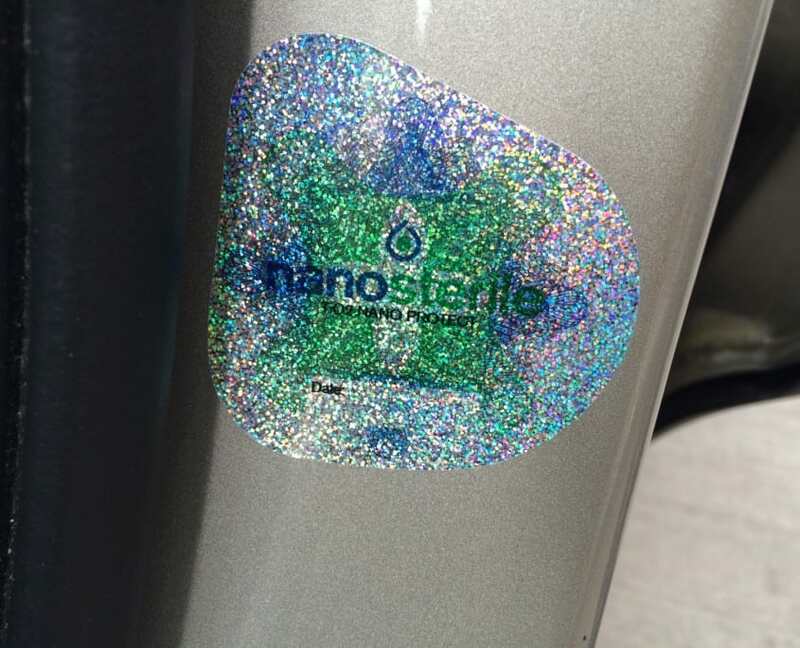 Photocatalysis is activated when sun rays hit cleaned surface which begins to oxidate strongly. Bacterias and viruses on this surface are decomposed to CO2 and H2O. Antimicrobial effect of silver is not dependent on light so it works even in dark. 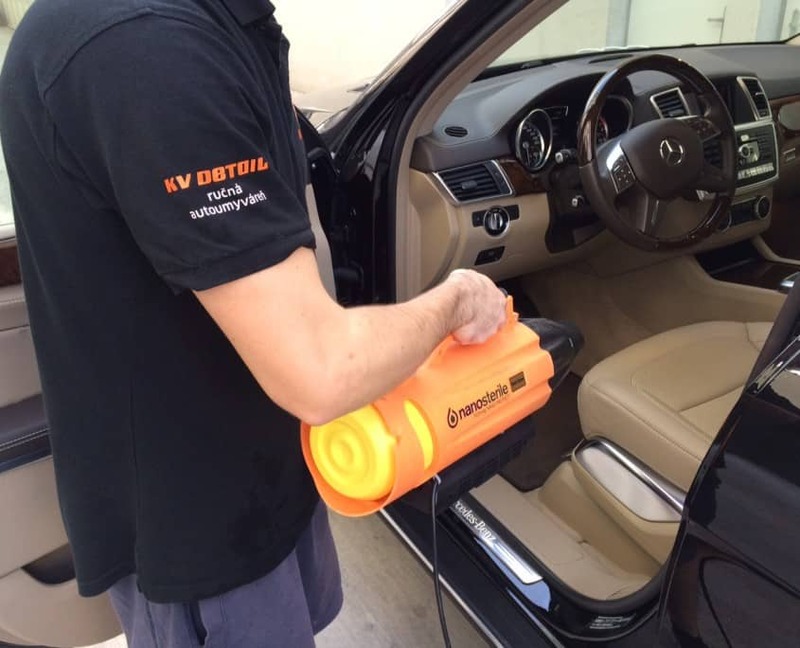 To start photocatalysis you do not need any special rays, just sunlight. 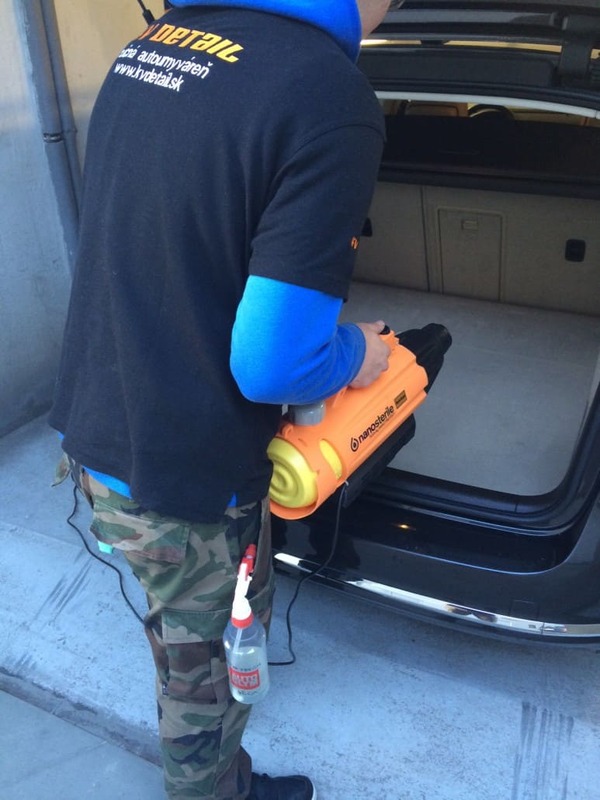 The biggest advantage is lifetime of the protective layer which we guarantee for 2 years! 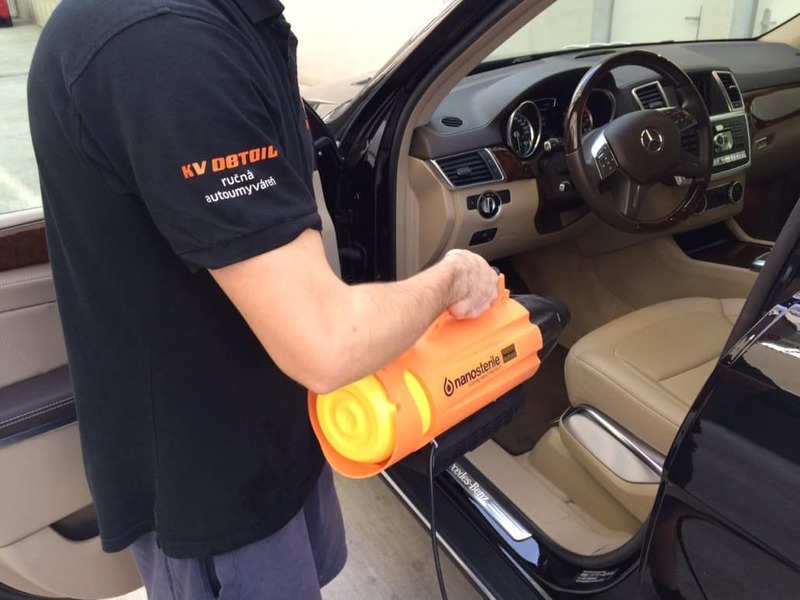 Using this natural process cleans and disinfects your inside vehicle environment without using any aggressive chemicals. Effectiveness of TiO2 is according to studies 2x times higher than using chlorine-based disinfection products and is 1,5x times more effective than ozone disinfection.